This is a special Memory Cafe luncheon, made possible by a generous donation from Bob Farrell. This is a social event for those in the early stage of dementia and their loved ones. Our staff would like to get to know you before you arrive, and space is limited, so calling to register is required. Please call Elizabeth Johnson at 845.471.2655. Please RSVP to the Library at 845.855.3444.For more information and questions, please contact the Alzheimer's Association at 800.272.3900. A free educational program by the Alzheimer's Association Hudson Valley Chapter with information on diet, nutrition, exercise, cognitive activity and social engagement. Get hands-on tools to develop a plan for healthy aging. To RSVP, please call the library at 845.452.3141. For more information and questions, please contact the Alzheimer's Association at 800.272.3900. A free workshop with information on legal and financial issues to consider after an Alzheimer’s diagnosis and how to put plans in place. Please register through the Library's online calendar at http://www.EFLibrary.org or 845.221.9943 to reserve a seat. For more information or questions, please contact the Alzheimer's Association at 800.272.3900. A free educational program by the Alzheimer's Association Hudson Valley Chapter with information on detection, risk factors, stages of the disease, treatment and more. To RSVP, please call the library at 845.452.3141. For more information and questions, contact the Alzheimer's Association at 800.272.3900. A free educational program by the Alzheimer's Association Hudson Valley Chapter with information on diet, nutrition, exercise, cognitive activity and social engagement. Get hands-on tools to develop a plan for healthy aging.For more information, contact the Alzheimer's Association at 800.272.3900. Please RSVP with the Pawling Free Library at 845.855.3444. A free educational program by the Alzheimer's Association Hudson Valley Chapter on how to recognize the 10 signs of Alzheimer’s. To RSVP, please call the Library at 845.452.3141. For more information and questions, please contact the Alzheimer's Association at 800.272.3900. 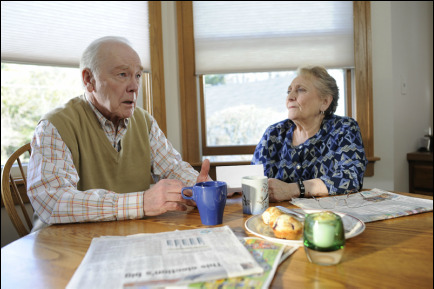 Helpful tips to assist families with difficult conversations related to dementia, including going to the doctor, deciding when to stop driving and making legal and financial plans.This program is primarily for those who have a family member or close friend beginning to experience Alzheimer’s or another dementia. To RSVP, please call the Library at 845.452.3141. For more information and questions, please contact the Alzheimer's Association at 800.272.3900.